In gold spread trading, the metal climbed yesterday on expectations that demand for an alternative asset would hold up after Federal Reserve officials voiced support for the central bank's accommodative monetary policies. Spot gold was up $20.90 yesterday taking it to $1679.5 an ounce. This morning gold is just slightly lower at $1675. In crude oil spread trading, Nymex crude oil finished in the black on Thursday gaining $0.94 to $103.64 per barrel. The increases come despite the IEA stating that supplies remain ample. Oil prices have been weighed on by a weakening outlook for the US economy and easing tensions with Iran, but traders shrugged off the bearish cues and instead focused on the possible implications of more stimulus from the Fed. Gold drifted lower on Wednesday giving back some of this week's strong gains as concerns eased over European bond yields and equities pared some of the substantial losses incurred recently. 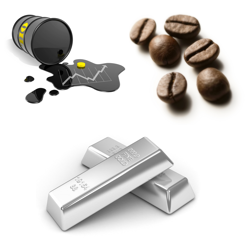 The metal pretty much traded sideways yesterday, at the time of writing it's trading at $1,658. Gold futures prices look supported by the uncertainties for global growth. Although in the absence of any hints from the Federal Reserve of a renewed bout of QE, gains could be capped. Crude oil prices found support below the $120 level again yesterday as the inventories report showed a slowdown in stock build up compared to previous weeks. The Energy Information Administration said crude supplies rose by 2.8 million barrels against expectations of 2.1 million barrels. Despite beating expectations, the increase was far less than the surge seen over the previous 2 weeks leading to quite a mixed session for oil prices. Having been below $120 this morning, Brent has recovered and is trading at $120.50 at the time of writing. Gold benefited from safe haven flows on Tuesday as the brewing storm over the European debt crisis and concerns about global growth gathered pace again. Gold futures were up 1% to $1,660 an ounce. At the time of writing the metal is as $1,658 and with the turmoil in the wider economy unlikely to abate any time soon, bulls could start targeting the $1,685 resistance level. On Tuesday crude oil futures fell for a second day as data showed Chinese imports of major commodities fell in March, adding to worries about oil demand. Supply concerns are also weighing on crude oil ahead of today's inventories data. They are expected to show that stock piles have risen sharply over the last 2 weeks as domestic production continues to outpace demand. Having briefly dipped below $120.00, UK crude oil is now at $120.20. Gold advanced $13.80 as traders speculate that the weak jobs data on Friday would increase the possibility of further stimulus from the Fed. Despite the Fed suggesting that further stimulus wasn't warranted at the recent FOMC minutes, traders are speculating that the recent run of weaker economic data will force the Fed to engage in some form of extraordinary monetary policy in an effort to prop up growth. If so, that could weaken the dollar and boost the price of gold. This morning the precious metal is at $1,648. Crude oil continued to make new lows on Monday, following the disappointing jobs data on Friday. Also adding to the declines are the upcoming international talks with Iran, where traders look to be unwinding trades that were based on reduced supplies. Crude oil futures for May delivery slid 85¢ a barrel to $102.46. Despite the declines the $100 level looks to be a firm support level. Brent crude oil is softening further this morning trading at 121.90, down some 80¢. The price of gold plunged on Wednesday to its lowest level in three months as anxious investors continued to digest the effects of diminished chances of QE3 from the Fed. Gold fell almost $58 to $1,614 on a day with traders fleeing the equity markets. Some would have thought that the traders would have sought the metal as a safe haven. This morning, a little bit of bargain hunting is helping to lift the precious metal to $1,624. Crude oil futures slipped $2 as a rise in oil inventories surged past analysts' estimates. Adding to the negative mood was the fallout in equities which strengthened the dollar. Brent crude touched a low of $122.30 before finding support and has subsequently recovered back above $123, but a bearish global outlook is likely to keep prices pressured. Last night's FOMC minutes were not encouraging for anyone who's hoping to hear that the door is still open for further possible stimulus or QE3. This is what the recent indices rally has been built on and, whilst it caused some profit taking across the pond, it knocked the gold spread trading market for six. Gold prices tumbled 2% yesterday as the Fed's lack of enthusiasm for more stimulus saw it shed $32. Gold touched a low of $1638 were it found support and recovered slightly to finish at $1657. With such a rapid decline bringing the support level of $1631.1 back into view, a break of this level could bring fresh sellers into the market. Crude oil futures ended lower after the dollar rallied off the back of the FOMC minutes. Also weighing on crude is the expectation for today's crude oil inventories data, which is forecast to show another increase of 2.1m barrels on top of last weeks surprise surge of 7.1m barrels. Crude is faring better than most other dollar denominated commodities as continuing supply disruptions in the North Sea and ongoing geopolitical tensions with Iran are likely to keep prices well supported. Gold made modest gains on Monday of $7 as strong US manufacturing data led traders to sell dollars and plough cash into stocks and other riskier assets, lifting gold in the process. Also, the ending of a jewellers strike in India, one of the world's largest buyers of gold, is expected to push up prices as they return to the market. Gold looks well supported in the near term and could test the $1696 level imminently but at the time of writing is just biding its time at $1678. Crude oil posted its biggest gain in 6 weeks, rising $2.21 as better than expected manufacturing data from the US lifted hopes of an improving economy, pushing up energy demand. Supply disruptions surrounding the unscheduled shutting of the Valhall platform, coming so soon after the shutting of the Elgin platform, is also likely to keep prices well supported above $100 for the near term. This morning Brent is currently at $125. Gold pushed higher last week as the dollar weakened and ended the quarter comfortably higher. News that the Eurozone bailout fund is to be increased also gave the yellow metal support as money will continue to be pumped into the system. The safe haven is up over 6.5% for the year already, but this is the first time since 1998 that the S&P 500 has had a better first quarter. This suggests that confidence is high and the gearing is more towards higher risk investments, which may cool the interest for safer places like gold. This morning it is trading at $1666, down 0.1% on the day.